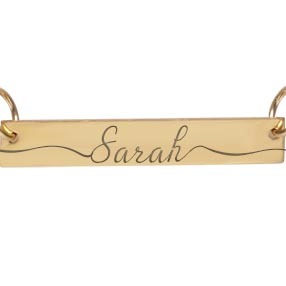 This beautiful gold bar necklace is a great option for the gold jewellery fan. 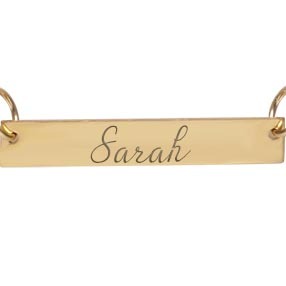 It makes the perfect gift for your mother, bridesmaids or special woman in your life. 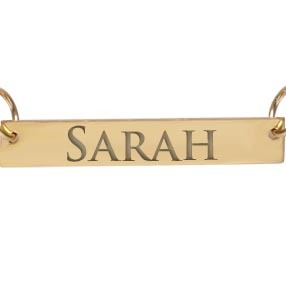 The bar necklace works well as a name necklace displaying your name or message on a beautiful piece of jewellery. 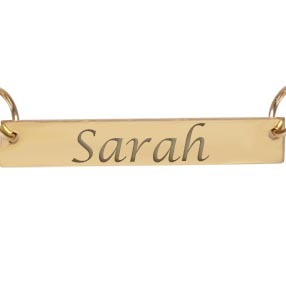 The necklace includes a 45cm gold chain and can be customised with up to 12 characters with a variety of fonts to choose from.